We often hear of the dangers of texting and driving, but the truth is that taking our eyes off the road for any reason whatsoever is dangerous, even if just for a second. Janie Schmidlkofer, 58, learned that the hard way when she got into a car accident on Saturday, March 9. Schmidlkofer was driving down 48th Avenue just before Alameda Street in Norman when she looked down at her radio to check if her phone had connected. Schmidlkofer said she only looked down for a second, but when she looked up her wheel was right at the black line on the side of the road, with no shoulder and a deep ravine next to her. She had to quickly decide whether she would pull back onto the road and risk rolling the vehicle, or ride out the ravine and hope for the best. She chose to ride it out. “I remember the car stopping abruptly. All my air bags went off. White powder was everywhere. I opened my car door to get some air and put my left foot out, but noticed it was just dangling and I couldn’t bear any weight on it. My back was killing me,” Schmidlkofer said. She was the only person in her vehicle, but a passerby stopped to check on her then sat with her until paramedics from EMSSTAT arrived at the scene. EMSSTAT brought her to Norman Regional Hospital’s Emergency Department. She found out she had a shattered ankle, a broken back and a traumatic brain injury from the accident. She was transferred to Norman Regional HealthPlex the next morning for ankle surgery with Orthopedic Surgeon Richard Kirkpatrick, MD. Dr. Kirkpatrick did an open reduction and internal fixation surgery on her ankle, in which she had plates put in to fix the broken bones. Schmidlkofer then had surgery done on her back by Neurosurgeon Stephen Eichert, DO, on Friday, March 15. Dr. Eichert performed kyphoplasty surgery and put in two rods and screws to help with her spinal fracture. Schmidlkofer was admitted into Norman Regional Hospital’s Rehabilitation Center by the following Monday, March 18. During her time in rehab, Schmidlkofer did three hours of therapy a day Monday through Friday and an hour and a half each on Saturday and Sunday. Her rehabilitation included upper body exercises; cognitive testing; lower body exercises; walking with a walker; training exercises at the Rehabilitation Center’s Independence Park, and a home evaluation with therapists. The home evaluation was to measure all her doorways and check her house to make sure her wheelchair would fit through, set up her shower bench, practice hopping onto her bed from a platform, and make sure she could walk safely on her floors at home. “It all happened so quickly and everyone took such good care of me,” Schmidlkofer said. Joseph Saveika, MD, medical director of Norman Regional’s Rehabilitation Center, followed Schmidlkofer’s care from the time she was in the Emergency Department until she was discharged from the Rehabilitation Center on Friday, March 29. Schmidlkofer is still non-weight bearing on her left side for the next two to three months. 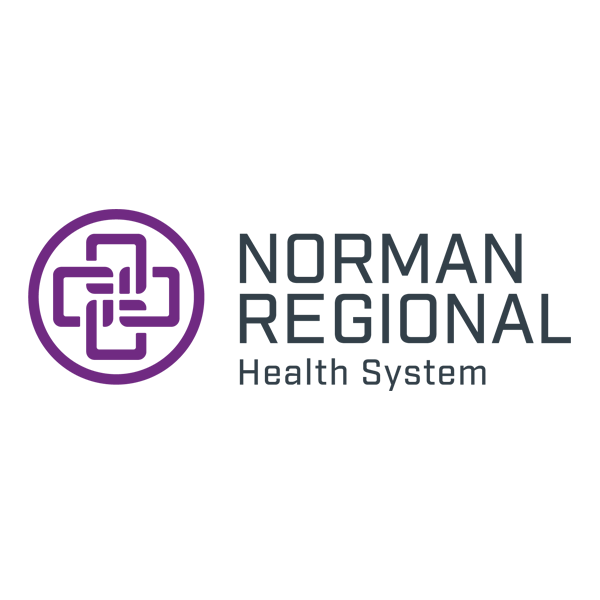 She will be following up with outpatient rehabilitation at Norman Regional’s Physical Performance Center. 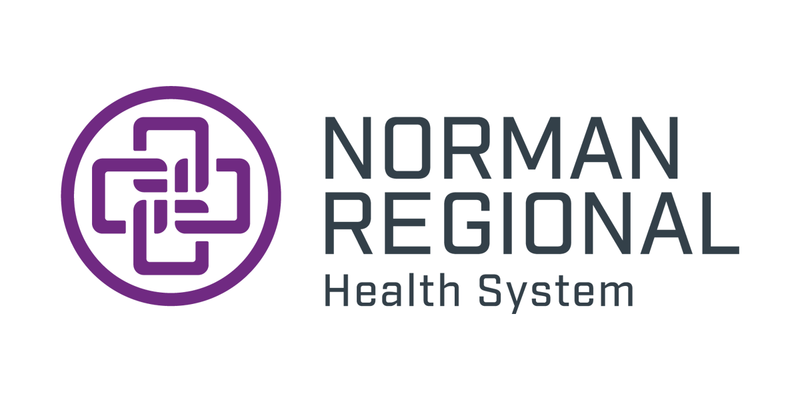 Schmidlkofer is a Norman Regional employee who actually works as a clinical liaison for the Rehabilitation Center. She does screenings and marketing for them and found it interesting that the same place she promotes is where she became a patient.